With the 2013 Masters beginning next week, players on the PGA Tour will get the chance to play one last tournament before the first Major championship of the season. But for each player in the field at Augusta National, they all have their own process and routines when it comes to preparing for a Major championship. There are many who opt to skip the event the week before a Major entirely, so as to not waste energy and focus on the Major. Other conventions of thought lead to playing at much tournament and competitive rounds as possible, to keep in the flow and mindset of being in the heat of battle. 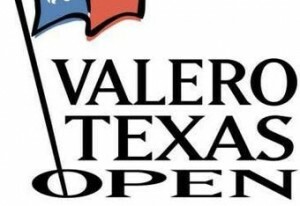 The 2013 Valero Texas Open gets underway on Thursday of this week, with 16 players in the field who will also be in the field at the Masters, including the 2011 champion at Augusta in Charl Schwartzel. In year’s past, the Shell Houston Open had been the tournament prior to the Masters ,always getting finished on Easter Sunday. But to keep with the theme of finishing on Easter Sunday, the PGA tour had to flip the 2013 Valero Texas Open and the Shell Houston Open, because of the way that the calendar fell. The Shell Houston Open typically garners more attention from players in the Masters, like Phil Mickelson, Brandt Snedeker, and Steve Stricker. The Valero Texas Open unfortunately does not have that appeal, and coming the week before the Masters in 2013 is not a big draw. But there will be a number of players in the field this week in the top-50 of the World Golf Rankings, highlighted of course by the No.2 ranked player in the world Rory McIlroy. McIlroy had initially not planned on playing in San Antonio before heading to Augusta, but felt he still needed to knock so rust off and get in some more competitive rounds. Because of his appearance now, the Valero Texas open will certainly be a bigger draw. Other notable players in the field include Matt Kuchar, Ian Poulter, Jim Furyk, and Peter Hanson, all of whom are ranked in the top-50 in the world. The winner this week will not receive an automatic invitation into the Masters, but will gain entry into some other events on the schedule. This entry was posted in News and tagged 2013 masters, 2013 valero texas open, pga tour, rory mcilroy on April 3, 2013 by Bryan.